Iris Murdoch's richly peopled novel revolves round a happily married couple, Kate and Octavian, and the friends of all ages attached to their household in Dorset. 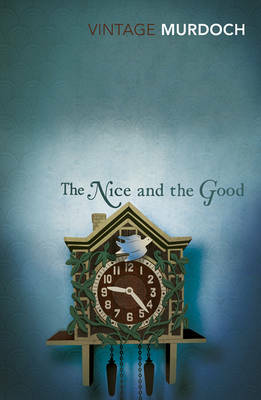 The novel deals with love in its two aspects, the self-gratifying and the impersonal; - the nice and the good - as they are embodied in a fascinating array of paired characters. THE NICE AND THE GOOD leads through stress and terror to a joyous and compassionate 'Midsummer Nights Dream' conclusion, in which the couples all sort themselves out neatly and omnia vincit amor.